Special Feature: Horse design is carved with shishi-ai bori on the polished ro-gin plate. Masayoshi was born in 1764 at Shitaya in Edo. He learned under Toyama Naoyoshi and the Hamano family. 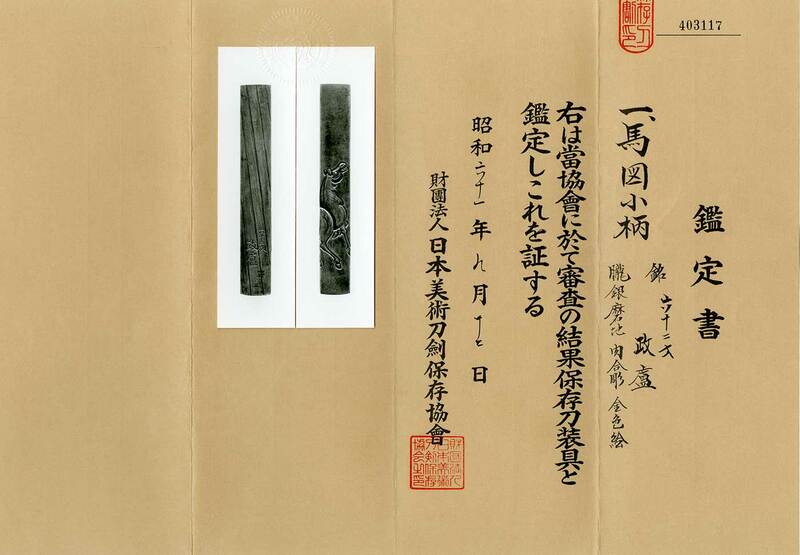 According to the inscription on the reverse side, Masayoshi made thsi tsuba at the age of 62. He passed away in 1837, aged 74.